CHOETECH 39W 3-Port Wall Charger with USB-C Port is by far the best wall charger I've played with for connecting USB-A and USB-C devices at the same time to charge. We have plenty of choices when it comes to wall chargers, but when we're talking about USB-C we only have a handful of manufacturers. I'm happy that I've acquired a device that is capable of supporting all the devices I have in my house. 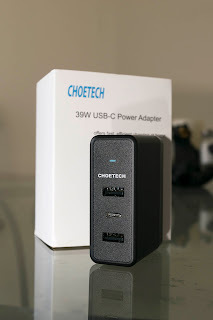 The problem I was facing is if I stuck to the USB-A to USB-C, I'm able to get the max at 2.4A of power to charge, but then I'm not taking the full advantage of the USB-C capability to fast charge my device. 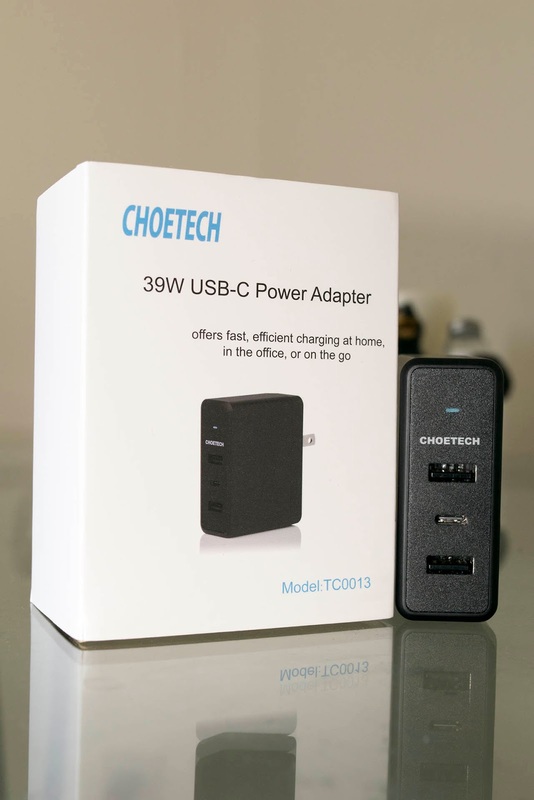 With the addition of this wall charger, I'm getting a whopping 39W of power. We're looking at 2x 2.4A and 1x 3A port respectively. More than enough juice to keep me going for anything I may have with me. This is available via Amazon.ca at the low cost of $27,99. Great buy and I highly recommend it. 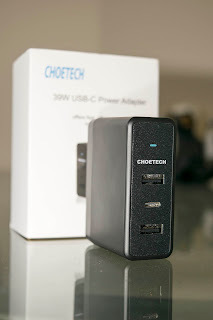 In one of my upcoming review, I'll be looking at USB-C to USB-C dock, this will allow me to enjoy fast charging! You may remember RND from one of my previous reviews, which you can check here. RND is back and this time with some C to C love! Find this interesting? Liked the review, looking for some USB-C love? Comment below, like, share and you can also find me @ www.cryovex.com.